It’s only January but rider retirement is in the news whether it’s Cadel Evans’ imminent halt or Nick Nuyen’s recent retirement. Nuyens has gone from the peloton to the supermarket, swapping the Carrefour de l’Arbre for a branch of Carrefour Market supermarket, a change of career to file away for a list of strange retirement options. 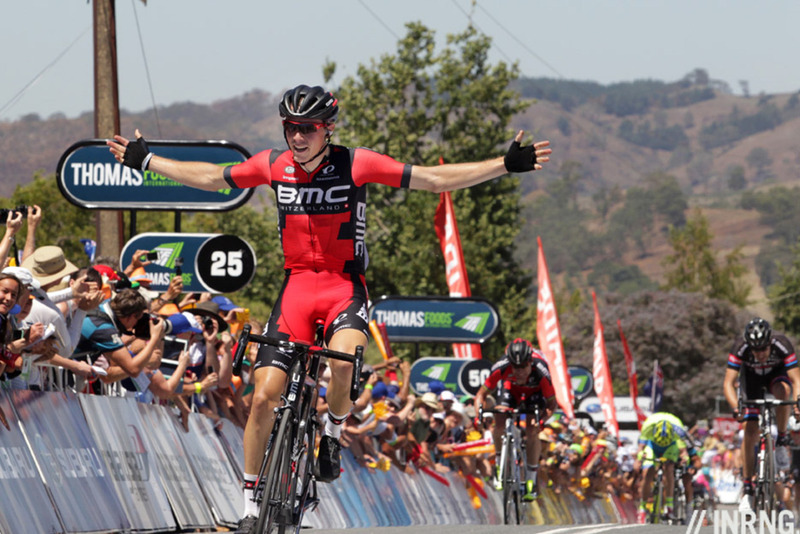 Evans is set to become a brand ambassador for BMC bicycles. Tech seems to be a very popular subject for publishers and journalists have been dispatched to take images of Ag2r’s team bikes fitted with SRAM Wireless shifting. You’d think this would be a great publicity for SRAM and the team and you’d be right but for now the team itself is bound by a confidentiality agreement which explains the “spy” photos rather than official shots and close-ups of the parts. The fairytale scenario was Cadel Evans winning his final Tour Down Under. Now local rider Rohan Dennis is in the race lead and looks very strong with only Willunga Hill expected to shape the race. His move saw him track the riders on the climb to Paracombe and then attack hard into a headwind. The idea of Evans triumphing would be popular but so too could be the old rider helping the young replacement win and it’ll be interesting to see what happens and how it’s explained. 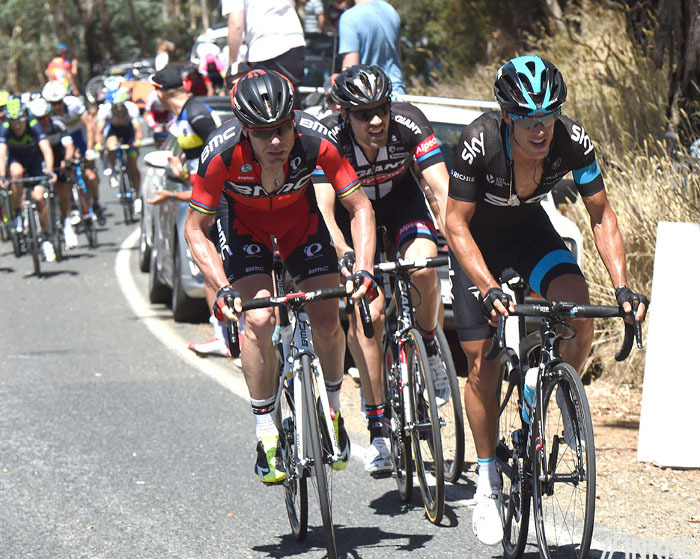 Of course this is a race rather than a Disney production so Richie Porte will be looking to get the better of BMC Racing and now that the red and black squad are forced to work it might be easier to attack them on Willunga, riders like Peter Stetina will be used up early. Matthias Brändle probably knew he was just keeping the Hour Record warm but the performances of Bobridge and Dennis this week and helped set up a bigger rivalry. Bobridge’s career in Europe didn’t work out, he made the news as much for a drink-driving incident as any results. One often unmentioned aspect is his rheumatoid arthritis. He’s tried medicine for this but said in the past he’s focussed a lot on diet to help manage the condition. Watching the TDU in Europe means setting an alarm for 5am. But it’s easy because all the action comes late in the stage. Tune in with 10km or even less and chances are you won’t miss much of the action. It’s also streamed for free. We might long for more sophisticated racing where the field gets reduced by successive difficulties but for now it’s entertaining. Besides, it’s a lot easier to watch than the Tour de San Luis which has one helicopter and a couple of fixed cameras at the finish line, a set-up exploited by the Tour de France since the late 1950s. The Argentine race is a lot better than previous years where all they had was one camera on the finish line. But somehow the novelty of the season means you might tune in. 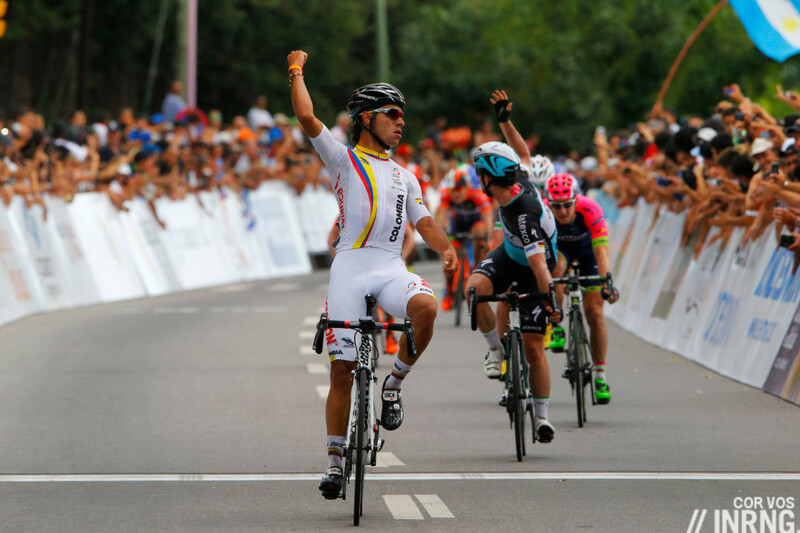 Fernando Gaviria made a name for himself in no time. It’s rare for amateurs to get the better of professionals so it’s all the more surprising to see the 20 year old Colomian beating Mark Cavendish twice in a sprint. Once might be a freak event but twice suggests there’s something more. But it’s not a story of two riders as Gaviria isn’t just beating Cavendish, he’s put the excellent Sacha Modolo’s into third each time too. Gaviria might be a new name for some but has been doing very well on the track, a junior world title to his name plus a recent win in the World Cup’s omnium event. The Alps & Andes blog has more. If Gaviria is an exciting Colombian, Team Colombia aren’t exciting enough for Giro organisers RCS who’ve instead awarded a wildcard to Polish team CCC Sprandi Polkowice. CCC is a chain of shoe shops in Eastern Europe which might explain why they’ve hired Stefan Schumacher for 2015, there can’t be many other reasons. I understand that CCC Sprandi – Polkowice have been invited to the Giro on the proviso that they DON’T field Rebellin or Schumacher. For many CCC’s selection for the Giro wasn’t just a surprise but a disappointment because of the presence of Schumacher and Rebellin but if the hints are true we’ll see these veterans doing something else in May. Spare a thought for TV commentators who have at least learned to pronounce their names over the years. Given most people struggle to pronounce Michał Kwiatkowski properly this choice must be a nightmare for television commentators. Rabobank doctor Geert Leinders gets a life ban from USADA. Why did USADA, a US agency, go after Leinders, a Dutchman? Because all anti-doping agencies have a duty to prosecute and Levi Leipheimer gave up information to them during his confessions about the US Postal case. The USADA report is a chilling read and exposes what the Rabobank team were up to – along with many other teams – but the revelations aren’t all new. Michael Rasmussen’s book had a lot of the same stories, ditto the Dutch book Bloed Broeders (“Blood Brothers”), in particular how Michael Boogerd was hooked up to his brother to get a direct infusion of blood on the eve of a Tour de France stage victory. David Moncoutié wins again. This time though it’s sworn testimony and part of corroborating stories and yet another example of the past catching up with people. It’s not all about the past either, while Rasmussen enjoys pariah status Boogerd is a manager at Team Roompot. It’s embarrassing for others too, notably Team Sky and the UCI. Sky get tarnished by the association, a very foolish decision to hire him. 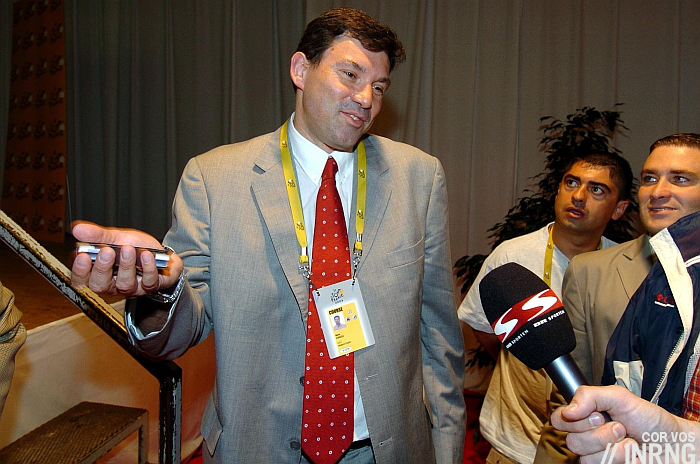 The UCI also have questions after two sworn testimonies implicate their chief medical advisor, Dr Mario Zorzoli. It was a late withdrawal from a co-sponsor that saw the Europcar team lose its World Tour licence, there was no time to find a replacement. These sudden changes are awkward but main sponsor Europcar has told the team 18 months in advance it’s pulling out which allows plenty of time to find replacements. Jean-René Bernaudeau says he’s in talks with potential sponsors and is “very confident” the team will continue. Of course he can’t really say otherwise. Finally Europcar’s riders might be feeling nervous but if you want job security, join the army. You might think the military is an insecure place to work, after all the job spec includes being shot at. But it’s safer than pro cycling in some ways. 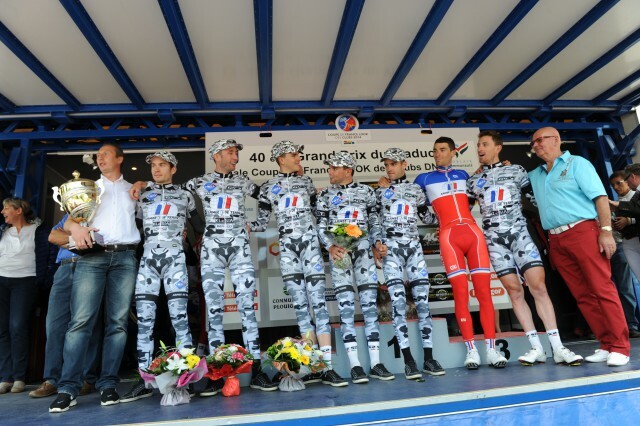 At least for the French army cycling team, famous for its cammo kit, hires riders on army contracts rather than the usual short term pro cycling deals. The result is that some of the riders are on six year contracts, a longevity unheard of the in sport. Romain Bardet signed an exceptional four year deal with Ag2r La Mondiale but the army is 50% longer. Of course the flipside is that any rider who shines and wants to move to a bigger team might struggle. FWIW Marc Sarreau, the young (born 1993) sprinter, moved from Armée de Terre to FDJ.fr as a stagiaire last year, that is to say during his first year in the French army cycling team, and went on to sign a two-year contract with FDJ. It could be that new recruits have a certain period (before taking an oath/signing a long-term contract) during which they have a right to regret and to step back on the civvy street? Julien Alaphilippe did the same too, moving to OPQS. Hopefully others have this too, for example Bryan Alaphilippe, Julien’s brother. But I think the option of a six year deal is there, if the “soldier” wants to stay. Whether they stay riding is another matter, they could continue as a mechanic or a plain soldier. Oddly enough, the organizers of the Volta a Catalunya included CCC Sprandi Polkowice but on the condition that they bring Rebellin! From Cycling News: “The organizers of Catalan race insisted that Davide Rebellin shows up, so he is the only rider who is certain to make the roster,” director Piotr Wadecki said. Boggles the mind. That camo kit is deeply ugly. 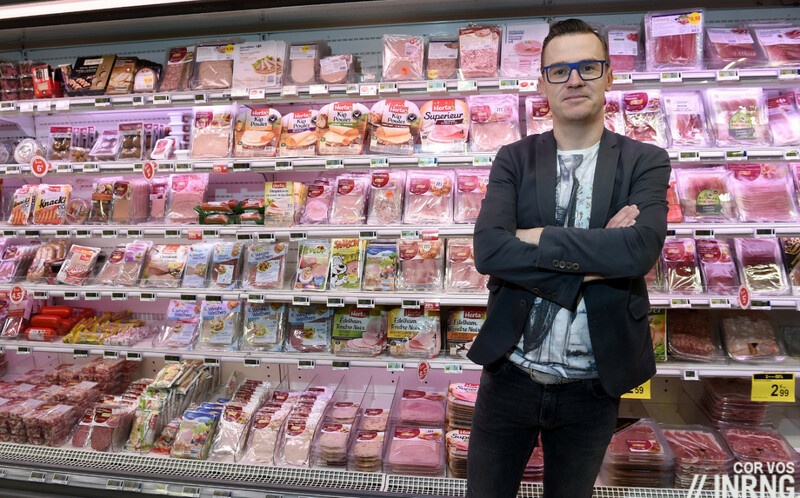 Why is he standing in front of all the ham is there some French pun I’m missing? He owns a store, a franchise of the supermarket chain Carrefour. “I’ve put a manager in there but I’ll be busy there too” he said the other day. I first thought it was a stand of Giro merchandise ?! – All that pink! It seems that Fernando Gaviria will bring more attention to the Europeans as he is an atypical Colombian Rider and he is going to cause pain to them, ask Cavs. Also watching the video footage of his second victory at San Luis Tour, there is something remarkable and is the great work of the Colombian National Team (not a professional team) outflanking Cavs Team. The Leinders document is actually a bit chilling. Rhe Chickenb is downright accusing UCI’s Zorzoli of advising Rabobank on how to dope, and strongly suggesting Rabobank had special protection from the UCI. Sky’s hiring of Leinders was either naive or deliberate, but all in all, at least in retrospective, a very bad idea. But it is Zorzoli who is now starting to deserve a serious investigation. Zorzoli’s under investigation at the UCI (not for the first time either). He was named by Rasmussen before but perhaps the sworn statement or USADA letterhead has pushed the UCI to investigate. They always seem to be waiting for a file to arrive in Aigle rather than trying to get ahead of issues. Did they question Zorzoli when Rasmussen first made his claims? What is Nuyens doing exactly? For those who are not familiar with polish cycling scene (majority of readers here? ;)) it’s worth to mention some facts about the CCC. CCC is a polish shoe company selling all kind of casual shoes , from cheap up to expensive leather ones. Owner of the company, Dariusz Miłek, is a big fan of cycling, and pumped his money into the orange team since 2000. In this time the team has its high and lows. For sure the biggest achievement so far was the start in Giro d’Italia in 2003, as a first polish team to ever do so. After the nominal leader Pavel Tonkov abandoned Dariusz Baranowski did his best to finish the race just outside first 10 in GC. The orange jerseys were also visible during the stages. Unfortunately, after Giro team declined and raced only in polish races or smaller international events. Thanks, KubaWinter. That’s useful and helpful background for a team that seems to be on the rise. I think your computer spellchecker has betrayed you in one place – “Their financial situation is stable, they’ve got very good car park”. Car park? That’s all nice but why then having two tainted riders in the roster? It just sickens me that this still happens 2015. As a shop owner/manager, Reg Holdsworth would be proud of those spectacles. Someone got it! ha ha. Looks eerily like Mozza’s younger brother to me. A scary thought. But then, what difference does it make? Has Cookson asked Zorzoli to step down? There’s enough of a stink here to get rid of this guy. I still laugh when I read claims that SKY didn’t have a clue about the Dutch doc they hired. How clueless could they be? It’s really sad to read about docs having the same testing gizmos as the sanctioning bodies and running continuous experiments to see what they can get away with while someone with the sanctioning body helps in the scheme. Very embarrassing when the UCI has to provisionally suspend its own chief doctor. There have long been questions over Zorzoli’s conduct. One would have hoped that if the UCI was serious about he doping problem, it would have addressed some of these open questions long ago. As you say, it is unfortunate that the governing body is always forced to respond after the event. Not a good image for the controllers of cycling ! Interesting timing as I just watched the first of a six DVD set on the 2006 TdF, where Rabobank dictates the pace on stage 11 and Menchov wins with assists from Rasmussen and Boogerd. The set is titled “Floyd Landis Hero or Villain?”. More of a Carry On film…. 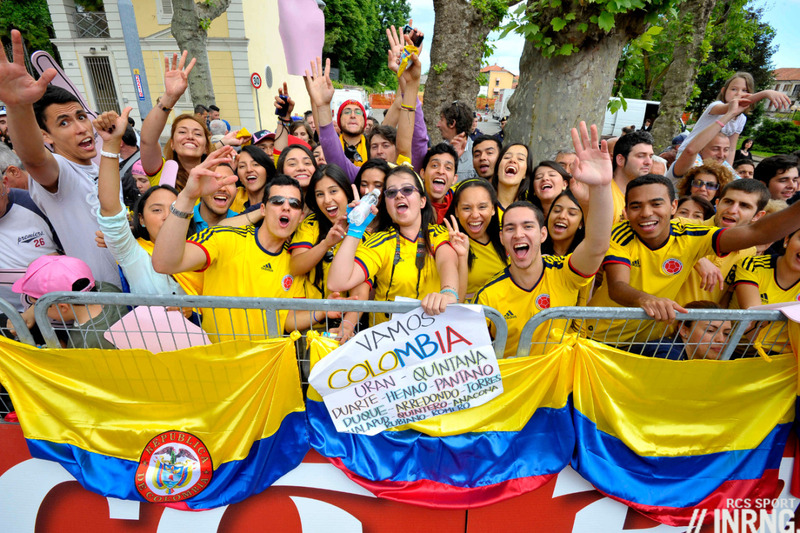 Can t understand Colombia not getting wild card for Giro – team based in Italy, mainly Italian management, ride Italian bikes, and done ok in last two editions. Whats the problem? Heres hoping one of them wins Lombardia! Next post: The Right Race, The Wrong Time?